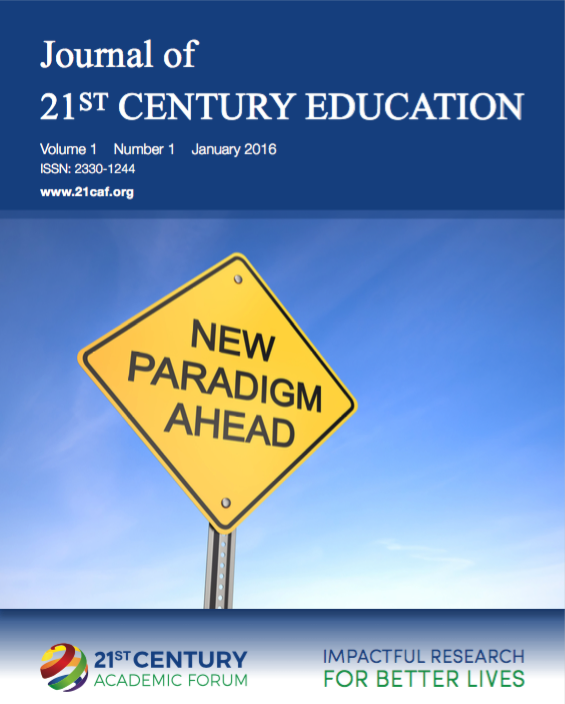 We are pleased to publish the January 2016 issue of the Journal of 21st Century Education featuring the papers listed below. We thank our editorial team for all the hard work that went into publishing these excellent papers. Click on the image of the journal cover below to download the January 2016 issue of J21CE.